How optimistic are you? For a man who had gone through so much – 27 years in captivity, ripped away from his family – Nelson Mandela could have understandably been bitter. For the first decade in prison, he was. There were “dark moments” that tested his faith in humanity. Then, he decided to work on his mind. With each subsequent year, his mental resolve became stronger and his spirit more gentle. 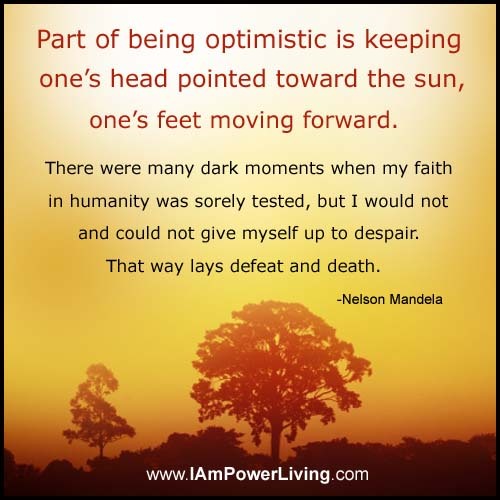 Mandela’s resilience and hopeful attitude teaches us that no matter how bad things may seem, keep your head up. People who choose an optimistic view tend to be happier and healthier. When you come up against roadblocks, remember that you have the ability to take a new path… or at the very least change your mindset. 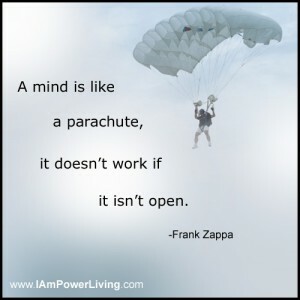 Instead of mentally being pulled backwards, focus on moving forward. Fix your eyes on the light ahead and open your heart to new possibilities.